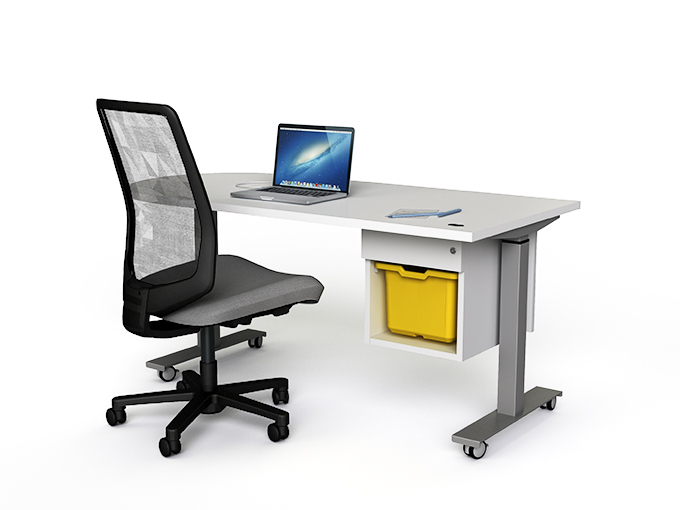 A table specifically designed around the needs of teachers. 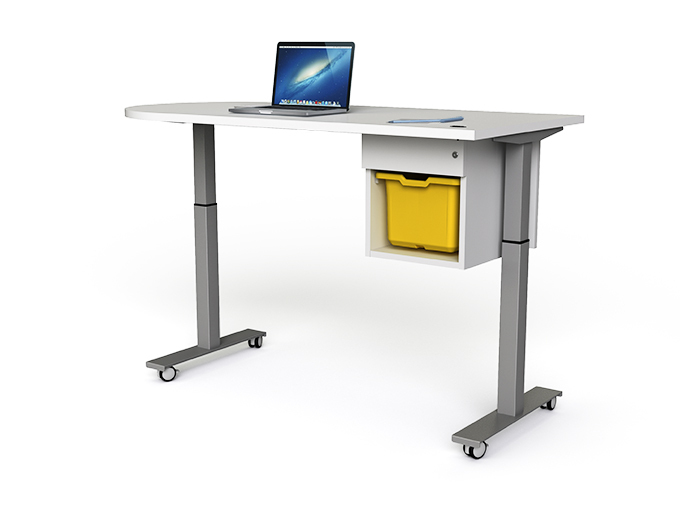 Height adjustable surface to accommodate both adult & young student sitting and standing positions, D-ended to support for those 1:1 times, mobile if required and complete with cable management, lockable drawers and a recess for a resource box – so you can bring stuff in and take stuff away with you. Rechargeable battery option for total flexibility.